Casio today formally unveiled ClassPad.net, a browser-based math tool built on Casio's Computer Algebra System (CAS), ClassPad, that offers a range of features, from arithmetic equations to graphing to statistical calculations, using Casio's "Natural Display technology for input and output of mathematical expressions." It is open now as a free public beta. 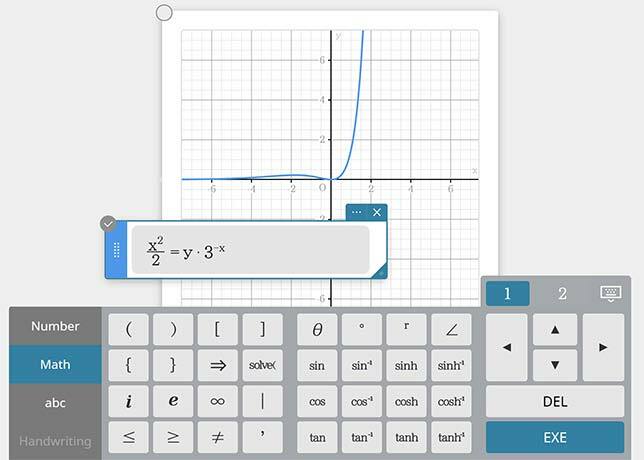 According to Casio, "ClassPad.net helps students investigate mathematics deeply and enhance their understanding of related concepts utilizing one program. Due to the increasing dominance of touchscreen devices both in and out of the classroom, ClassPad.net is designed to be equally usable by keyboard/mouse and touchscreen-based platforms. Students and teachers can go to ClassPad.net and draw geometry figures freehand and input calculations as they would on real scratch paper." Demonstrations and information sessions on ClassPad.net will be held this month at the Association of State Supervisors of Mathematics Annual Meeting (April 20 to 23); National Council of Supervisors of Mathematics Annual Conference (April 23 to 25); and National Council of Teachers of Mathematics, Annual Conference (April 25 to 28). ClassPad is free during the public beta phase. A 1.0 release is expected later this year. Casio has not announced pricing. Further details can be found at classpad.net.